Could stay lost in this moment forever! 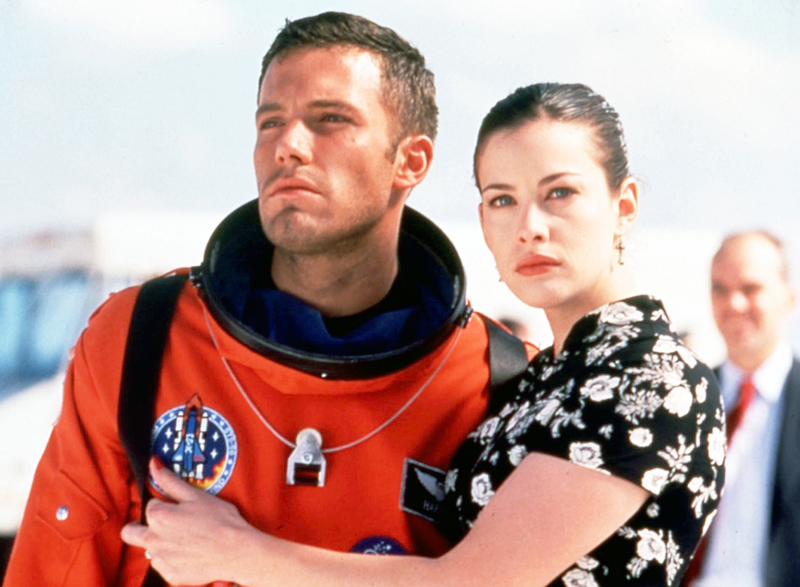 Liv Tyler shared the best throwback photo featuring herself and Ben Affleck on Monday, March 7. The actress flashed back to the stars&apos; 1998 movie Armageddon via Instagram, and the snapshot instantly went viral. "Ohhh Monday …. @benaffleck #armageddon #benaffleck #1998," the pregnant star, 38, captioned the black-and-white snapshot. In the pic, Affleck, 43 — in a dirty, sweaty tank top — is awkwardly biting down on Tyler&apos;s head. Tyler embraces the hunky star as she grabs onto his waist. The star-studded cast also included Billy Bob Thornton, Will Patton, Steve Buscemi, William Fichtner, Owen Wilson and Michael Clarke Duncan. Tyler&apos;s rock star dad, Steven Tyler, and his band Aerosmith, performed the theme song "I Don&apos;t Want to Miss a Thing." Tyler and the Batman v Superman: Dawn of Justice actor&apos;s on-screen chemistry played out once more in 2004. The costars reunited for Kevin Smith&apos;s box office bomb Jersey Girl.